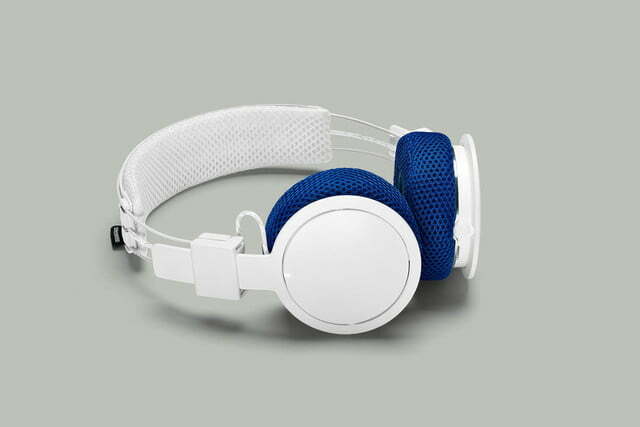 Urbanears introduced its fitness-friendly Active series headphones in January at CES 2016, and among the new releases are the Hellas, a Bluetooth on-ear headphone and generally rarity in the Activewear category. In-ear earphones are far more common because they are easy to make sweat resistant, compact, lightweight, and secure, offering freedom of movement and ease of cleaning after a workout. But the Hellas manage to combine those traits with the sound quality of on-ear headphones for an experience that might just change the gym-going experience for those who find in-ear headphones just won’t fit properly. 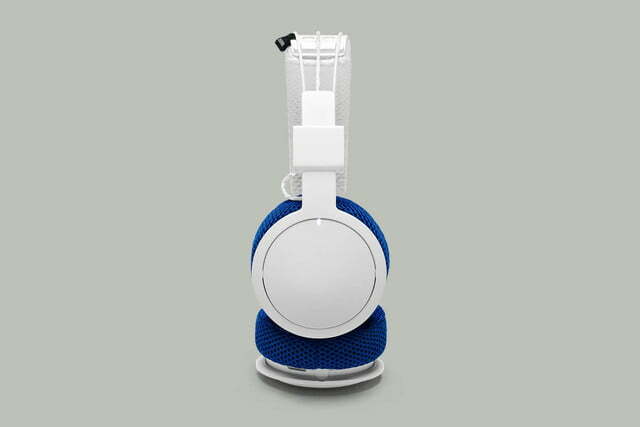 While the Hellas aren’t as light as a pair of earbuds, they weigh in at only 4.5 oz and fold up fairly compactly. This is achieved by discarding all the bulk of a rigid headband and replacing it with a deceivingly durable wireframe and punched plastic support brace. The wire that runs between the two earpieces and along the top has a reflective coating that increases your visibility at night for added safety. The pad that rests on your head is made of a thin, flexible mesh and the ear cushions, made using the same breathable mesh, have about 1/2-inch of foam cushion. There isn’t a lot of padding overall, yet these headphones are surprisingly comfortable to wear thanks to their lightness and flexibility. 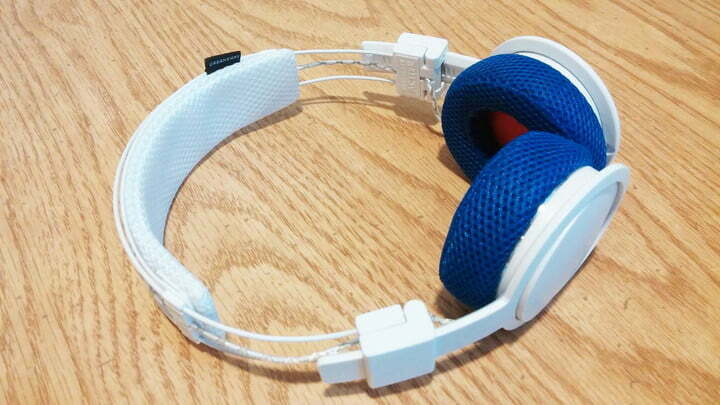 What’s unique about these headphones is that the headband pad and ear cushions are removable and washable. 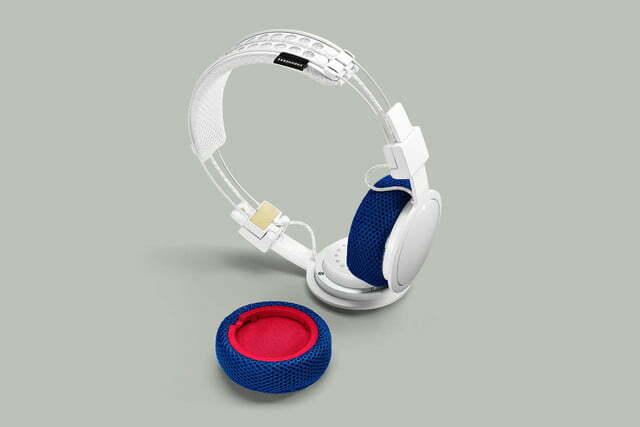 Each headset comes with a mesh laundry bag for you to place the removable pieces in and toss in the washing machine with the rest of your sweat-soaked gym clothes. 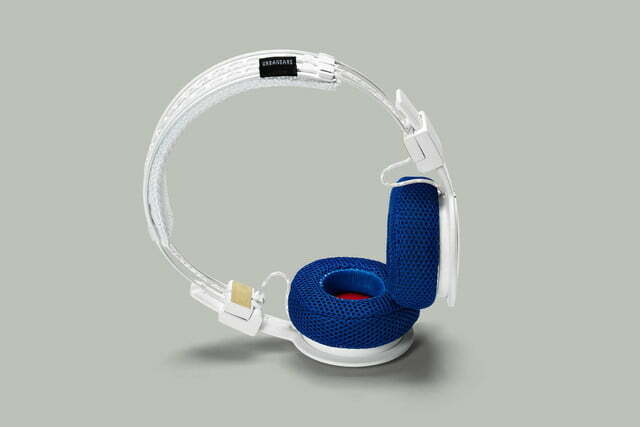 The headphones charge via micro-USB port on the bottom of the right ear piece, and the included charging cable matches the reflective wire used on top of the headband. The Hellas boast an impressive 14-hour playback time, though that depends heavily on your preferred volume level. Just be aware that there isn’t an Aux-In port for wired use when it runs out of battery. As for sound quality, the 40mm drivers deliver clear audio with a slightly heavier focus on bass and and mid-bass. Even when turned up loudly, there wasn’t any detectable blow out, distortion, or crackle. The bass comes through with a decent thump, though with some tracks you’ll lose the crispness of vocals in higher ranges. 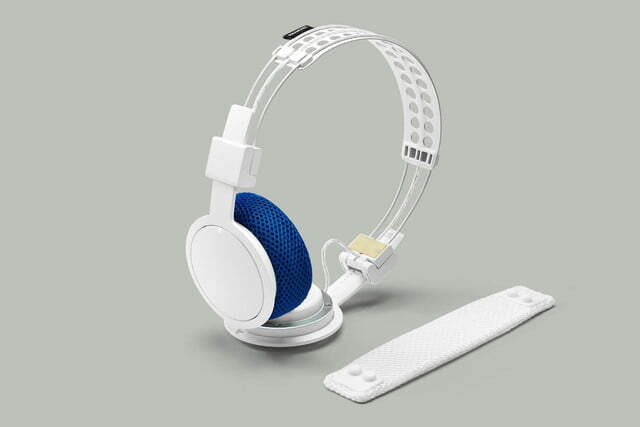 The playback controls for the Hellas are touch sensitive and invisibly embedded on the outside of the right earpiece. Touching the center of the earpiece for four seconds turns the unit on and holding your finger there a few beats more puts the headphones in pairing mode. The headphones paired seamlessly with our phone, and subsequently, paired automatically when turned on and within range of one another. Controlling music playback was intuitive with up and down swiping for adjusting volume and forward and backward swiping for skipping tracks. You can even answer incoming calls to your paired phone by tapping the center of the earpiece; the built-in mic picked up our voice clearly and the call quality was decent, though not stellar. One minor inconvenience with adjusting the volume is that you can’t increase or decrease the volume by more than one level at a time, meaning you have to swipe multiple times to change the volume by a good amount. There also isn’t a clear indication when you’ve reached the maximum or minimum volume; you just have to listen for volume changes at the highest and lowest levels. The only drawback to using touch controls is that they are triggered easily and sometimes holding the headphones in your hand or carrying them in your pocket inadvertently causes the headphones turn on. Fortunately, there’s an auto-shutoff that turns the unit off after 10 minutes of no activity. Overall, the listening experience with the Hellas is very enjoyable. They manage to stay put on your head during intense physical activity, and you don’t have to worry about getting tangled in any cords. 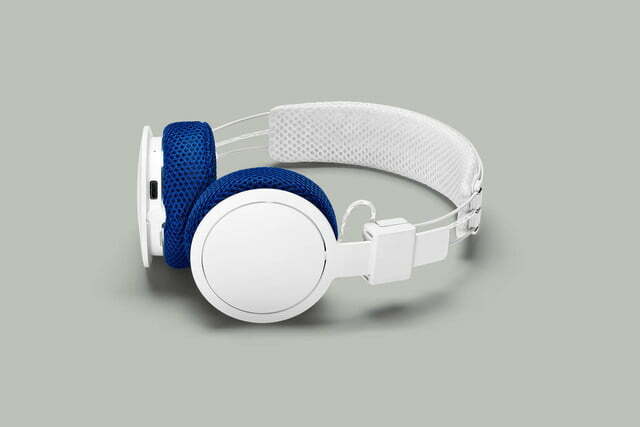 With the washable band and earcups, keeping them clean is no sweat either. For those of you that enjoy a good workout while listening to music but don’t like sticking things in your ears, the Hellas are available now for about $120.